Taking its cue from the shared society of today, this collaborative furniture design is all about bringing people together. 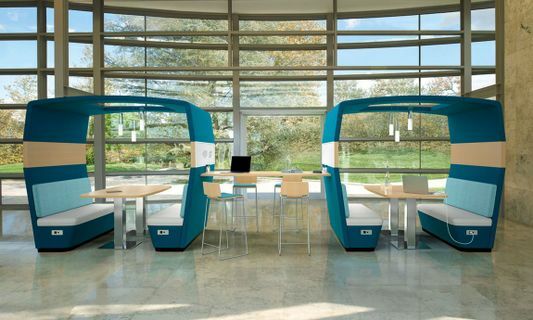 Designed to function equally well in existing or new spaces, these open to semi-private meeting enclaves can be positioned anywhere and require no elaborate construction to create a custom built-in feel. Supremely comfortable and exceptionally versatile, this acoustic and collaborative furniture solution is the essential collective for communicating, working and inspiring one another to achieve more.